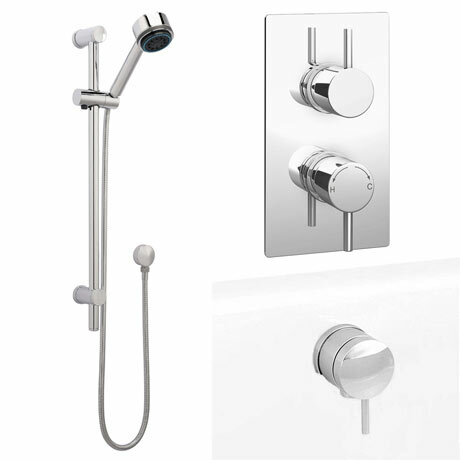 This modern Cruze concealed shower package will compliment any modern bathroom suite, offers thermostatic showering via two easy-to-operate controls for temperature and flow. Diverts between two shower accessories: overflow bath filler/slide rail kit. For total flexibility, complete the look of your bathroom with one of our designer shower packages.